We are often asked whether it is possible to change the link target for links in feeds. This article explains why we do not allow link targets to be changed using our interface. When a feed is published by a 3rd party (for example Reuters, BBC News or even a Facebook feed), there will be in nearly every case, a “Terms and Conditions of Use associated with that feed. For example a Facebook feed will contain images owned by either Facebook or by the user who published that page. In all cases, directing the photo to another link is also in contravention of copyright as under those laws, you are not permitted to change content for your own gain unless you have explicit permission from the owner. Neither can you change an outgoing link from an image as it would be deemed usage of that image for gain, which copyright law does not accommodate unless agreement with the owner is obtained, or royalty paid for usage. Owner consent is usually still mandatory regardless. It does depend on which part of the world you are in as to what copyright laws apply. 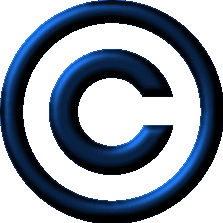 At FeedWind we generally err on the side of copyright law in the US and Europe. If we enabled a feature whereby users could change the link target, then although we would not be committing a crime, it is a feature that would enable others to do so. We have to respect the rights of content owners to reproduce their content without tampering or altering the content, or making it convenient for their content to be used for gain without appropriate permission. Quite likely, if we were to be seen to be doing so, we would not be popular with RSS feed publishers and content owners. It is possible however to disable links as this is an acceptable form of modification. Many webmasters may like to display 3rd party content but may not want their users to click-thru and leave their site. This can be achieved by using a custom CSS which includes “pointer-events:none” for feed item titles and links in the description. Next Content syndication - more popular than ever!